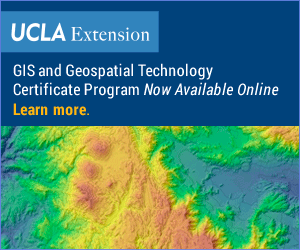 The simplest way to use UCLA Geocoder is to enter a list of addresses. To begin, please enter one address per line in the text box below, containing address number, street name, city, and state (when applicable). Do not include postal codes. UCLA Geocoder now also supports input data in comma-separated value (CSV) form. Your street addresses should be encoded using the address form described above and should be stored in a field labeled "ADDRESS" (case sensitive). Any other fields included in the input data will not be used in the geocoding process, but will be preserved in the output. "200 N Spring St, Los Angeles, CA","Los Angeles City Hall"
"100 Garfield Ave, Pasadena, CA","Pasadena City Hall"
"1685 Main St, Santa Monica, CA","Santa Monica City Hall"
"3900 Main St, Riverside, CA","Riverside City Hall"
Geocoded 0 of 0 -- Process complete!